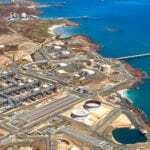 Australian liquefied natural gas (LNG) export revenue has risen 67.8 per cent on 2017 to $43.3 billion, making LNG the country’s third largest export in 2018 after coal and iron ore, energy advisory firm EnergyQuest Australia reported. This represents a 23 per cent increase in LNG exports, from 56.5 million tonnes in 2017 to 68.5 million tonnes in 2018. West coast producers contributed to the bulk of this rise, with Woodside Energy’s North West Shelf project retaining its position as the largest producer followed by Chevron’s Gorgon. “There will be further increases in exports in 2019 as [Shell’s long-awaited] Prelude comes on line, and [Inpex’s new] Ichthys and [Chevron’s] Wheatstone ramp-up to full capacity,” the report stated. 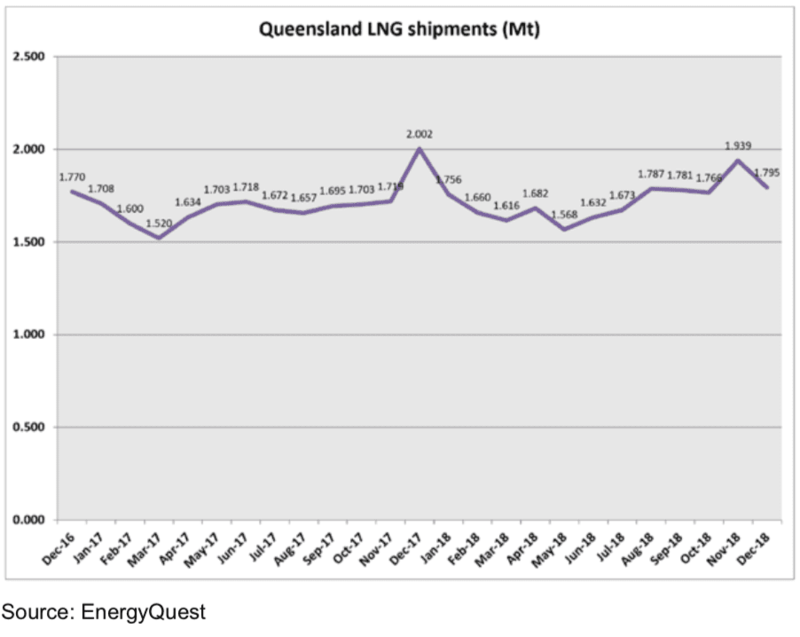 East coast projects, meanwhile, continued to perform below capacity and only grew by 0.3 million tonnes, despite media reports on record Queensland LNG exports, EnergyQuest added. Globally, Australia also continued to be the biggest LNG supplier to China – the world’s largest importer of natural gas – supplying 46 per cent of Chinese LNG imports in November. China imported a record 6 million tonnes of LNG in November, 2.8 million tonnes of which was delivered by Australia. Further, Australia regained second place in the Korean market in November 2018 behind Qatar. It is also Japan’s largest LNG supplier, importing 29.8 million tonnes in 2018, up 11.8 per cent from 2017. 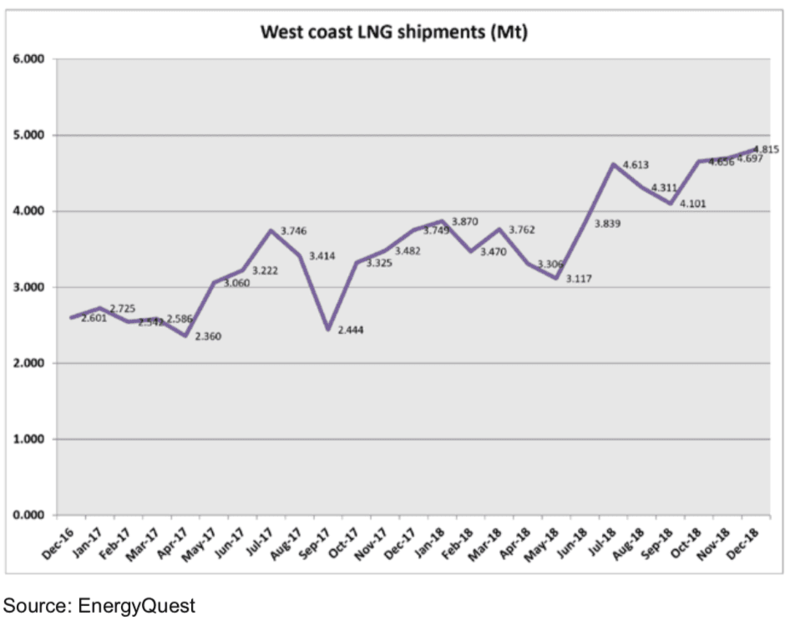 With growing demand for LNG in the Asian market, EnergyQuest said a shortage of transport vessels could become a bottleneck, with supply of ships not keeping pace with growing demand for spot charters. Spot charter rates for LNG carriers (with a tank capacity of 150,000–170,000 cubic metres) stood at $US190,000 ($263,685) per day, five times higher than that in early May. 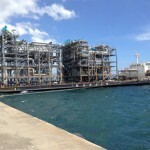 The International Energy Agency accounted this shortage to “a lack of timely investment” in the LNG carrier fleet. In December 2018, EnergyQuest estimated that Australian LNG export revenue increased in to $4.8 billion, up from $4.6 billion in November. The research firm also estimated Western Australia had earned export revenue of $2.9 billion, Queensland revenue of $1.38 billion and Darwin revenue of $0.5 billion.